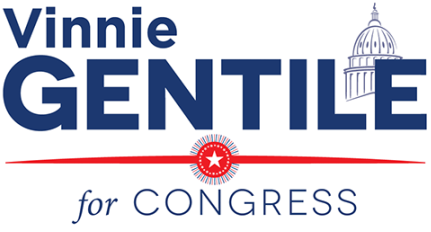 Vote Gentile on Tuesday, May 5th! > Push back against government red tape so Hurricane Sandy victims get the maximum FEMA insurance claim checks they rightfully deserve. > Fight for a higher minimum wage so working families can afford to live on the salaries they earn. > Secure funding for much needed infrastructure projects such as the North Shore Rapid Transit, and the West Shore Railway in Staten Island and expanding ferry and express bus service in Brooklyn. > Reform our federal tax code so that we close corporate loopholes on companies that ship jobs overseas and reward those that create jobs here in the United States. > Stand alongside our coalition allies in the Middle East as we fight terrorist organizations like ISIS and Al-Qaeda. > Protect against any efforts made to weaken Social Security or Medicare.